These stalwart Finns inspire devotion and derision in equal measure, for equally sound reasons – sometimes within the same song. 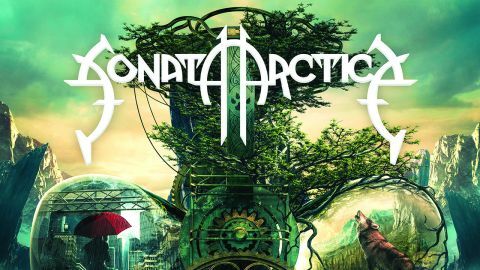 Since 1999 they’ve steered a dizzying course through the choppy waters of melodi-sympho-prog-power metal with an unabashed pop sensibility as well as a tendency towards saccharine cheese. There’s a peculiar blend of boldness and blandness, Glee Club pop-rock alongside double-kick-heavy rivethead riffing, treading a path between 2012’s divisively experimental Stones Grew Her Name and 2014’s solid reversion-to-type, Pariah’s Child. There are sugary choruses among the gothic synths and stately guitars of Life, an audacious nod to For Whom The Bell Tolls in the excellent Fairytale and shades of Celine Dion in the plonky piano and penny whistles of ballad We Are What We Are. SA mastermind Tony Kakko has a distinct, impassioned voice and vision, even if it misfires as often as it destroys.